Have you decided to sell your home and move to a new one? 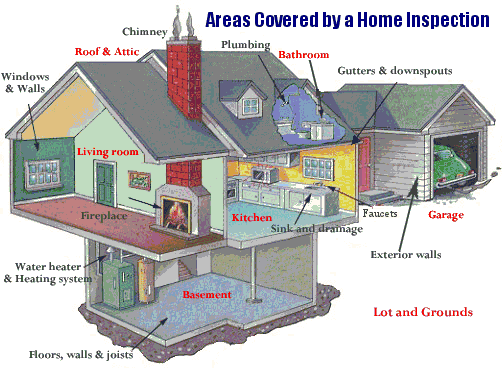 If that is the case, you must do your proper inspections before purchasing a home. Be prepared to invest money, time and effort in selecting a home that is not only visually pleasing, but also suitable as a whole for you and your family. This is one of the most important investments you are going to make in your life, so it better be done right. Buying a new property is no easy task. There are a ton of things you must consider before you buy especially if you don’t want to regret your decision later. You do not want to be the person who spends 20 minutes viewing a potential new home only to find flaws in it as soon as you move in. Take your time, don’t rush, be sure to inspect everything properly and make sure you do not overlook anything. Know the area – first, and foremost, before you even enter the property to inspect, you should learn as much as you can about the area it is located in. Call the local Police Department and see what the crime is in the area. Something as simple as the property backing up to a bar can cause you much duress after the purchase. Does the area offer walkable nearby shopping or do you need to drive in order to reach them? What about transportation – bus and train stations, main roads and easy commuter connections? See if the place is located underneath a flight plan as well, because this is certainly something you want to know before making your purchase. Visit at different times – it is one thing visiting the home you are about to buy during the day, but it is really different when you visit at night? Drive around on a weekend night and see if it’s quiet or are people out being loud and causing chaos? There might be a place nearby that is noisy during the later hours of the day, or perhaps nighttime when your neighbor likes to start their “every” weekend parties. Check out the exterior – before you enter inside, make sure the home you are viewing is structurally sound on the outside. Make sure to look for cracks that are larger than a quarter, holding a quarter between your index finger and thumb slide the quarter in the crack, if it fits then you should get further inspection done. Focus your attention on joining construction, bay windows and end-of-terrace walls. Be careful for staging traps – if the owner of the home has done some research, it is likely that they have found all about the tricks of proper staging. This means that the place might have been masked as more appealing with mirrors, special lighting, great smells and a lick of new paint. Inspect the roof – you definitely want to see make sure that the roof of your new home is in good condition because replacing it can be very expensive. Once you are done with your initial proper inspections, you should carry on with the purchase process of the home that interests you. Take a look at our article about the Home Buying Process to learn more about purchasing a home. Definitely take your time to look into every detail as this will ensure you buy a nice home that’s in good conditions and has been taken care of. For more information on proper inspections before purchasing a home, please contact us or leave a comment below. We’d appreciate the opportunity to assist you.